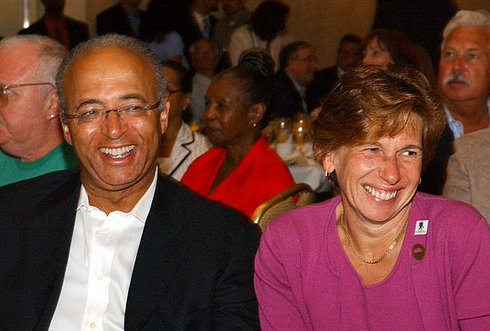 Bill Thompson’s just come out on the failed record of Bloomberg and Klein, but parents and communities are asking where he’s been all along. And, by the way, where was the union prez? These no-bid contracts, data manipulation, credit recovery and skewed grad rates have been going on for years, and then some. I remember when they put the Snapple machines in every school across the city. No-bid and 2003. That’s so they could make sure every kid across the city would grow up thinking and dreaming Snapple. “A bidding process was not required,” said the Dept of Education. Thompson was sworn in January 2002. It doesn’t ring true when people like Thompson smell blood and start homing in on their prey. We needed him way before now. And for the record, we needed her, too. It’s time to fire New York City Schools Chancellor Joel Klein. In eight years as chief executive of the city’s school system, he has consistently embraced measures designed more to sell the idea of a system helping our students to attain critical achievement goals than to target those goals directly. My office has a charter-mandated responsibility to audit allegations of mismanagement that are brought to our attention. In the exercise of that responsibility, we have discovered and reported on a pattern of brazen actions taken by the Department of Education that fly in the face of basic management standards. We have uncovered repeated instances of awarding no-bid contracts to firms without a proven track record, which in one case led to a disastrous bus routing fiasco. We have reported on gross cost over-runs by outside contractors hired by the Department that have cost New York City taxpayers over $720 million and denied students funds for basic supplies. In audit reports last week exposing shoddy oversight regarding high school graduation rates and standardized test administration, we found that the DOE has engaged in sloppy and unprofessional practices that encourage data manipulation and cheating. With respect to graduation data, some ten percent of graduating student transcripts we looked at did not show that the requirements for graduation had been met. With respect to testing, we found that basic measures to ensure that exams are administered fairly and so as to minimize cheating are not being followed or have been eliminated. . . . But if the Department doesn’t have appropriate measures in place to prevent the manipulation of test scores and graduation data, then how do we know that the improvements are grounded in reality? The integrity of the entire process is called into question, especially at a time when school officials feel ever greater pressure to post constant gains for fear that their schools may be closed.
. . . it’s time to get back to the basic priorities like curriculum, instruction and learning.
. . . we must have an educator at the helm our school system again, someone who inspires confidence across the system, from parents to teachers to administrators and, yes, to auditors. Do you really think Thompson smells blood? If that's the case, I have a strong feeling it's his own.